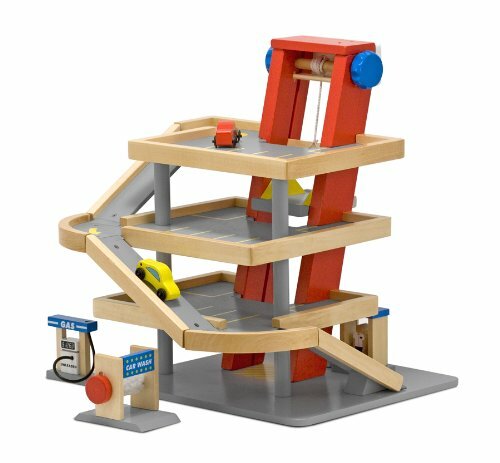 Crank the elevator to raise the two wooden cars up, the four levels and watch them roll down the ramps. There?s plenty of parking for the rest of your toy car collection. A parking booth and attendant, a gas pump and a car wash complete the wooden play set.